Did you know reading just 20 minutes a day exposes your child to about 1.8 million words per year. Reading helps students develop a stronger vocabulary, and in addition, students who read for pleasure average higher grades in English, mathematics, science, and history! Mark your calendar to join us for a celebration of reading! 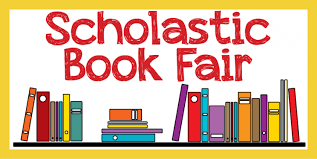 The Scholastic Book Fair will be at Olympia North September 17 - September 21. The Book fair will also be open for Grandparents Day. All forms of payment are accepted. Checks should be made payable to Olympia North Elementary (ONE). If you chose to send cash with your student, please send it in an envelope marked with their name. Any change will be placed in the envelope along with the receipt. Please note: Illinois sales tax of 6.25% is added to all sales. Book Fair profits are used to purchase new library books to keep our readers engaged. If you can’t attend the book fair in person, please consider shopping online here.